XL 2400 x 1600px 15 Mb. In a global world we manage a lot of information, around the world we interact with other people. 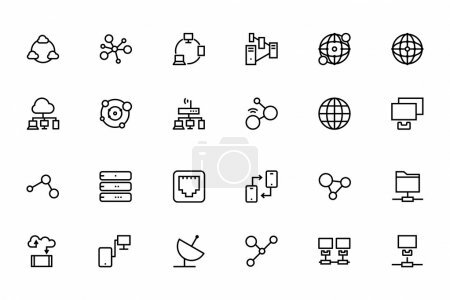 We need to show and manage this info - use these network and sharing vector icons in your work.